Freddie Mercury was born Farrokh Bulsara in Zanzibar (now Tanzania) on September 5, 1946. His parents were from the Bombay Province in British India and he spent most of his childhood in India. He started taking piano lessons at age seven. When he was 8 years old, he was sent to study at a British style boarding school for boys called St. Peter's school. He formed a school band, The Hectics, at the age of 12. The band covered rock and roll songs. Mercury was a big fan of Western pop music as a kid. It was while he was at St. Peter's that he started calling himself Freddie. In 1963, he moved back to Zanzibar and into his parents' apartment. A year later, Freddie and his family fled Zanzibar during the Zanzibar Revolution, during which thousands of Arabs and Indians were killed. They ended up settling into a small house in Middlesex, England. Mercury began studying art at Isleworth Polytechnic in West London. He earned a diploma in Art and Graphic design at Ealing Art College. After graduation, Mercury joined a number of bands. To make money, he sold second hand clothes at London's Kensington Market and worked as a baggage handler at Heathrow Airport. In 1969 he joined Ibex, a Liverpool based band. The band didn't take off and he ended up joining a band called Sour Milk Tea, which also disbanded by early 1970. In April 1970, he joined Brian May and Roger Taylor to form a new band. In 1971 John Deacon joined the band and Mercury named the band Queen. He also changed his last name to Mercury at this time. In 1973, Queen released their first self-titled album. It took two more albums for the band to gain traction with fans. Their third record, Sheer Heart Attack, was released in 1974 and featured the band's first hit "Killer Queen." The single hit number two on the U.K. charts and number 12 on the U.S. charts. "All my lovers asked me why they couldn't replace Mary, but it's simply impossible. The only friend I've got is Mary, and I don't want anybody else. To me, she was my common-law wife. To me, it was a marriage. We believe in each other, that's enough for me." "You would have been my wife, and it would have been yours anyway." Mercury had a long career with Queen and a number of hits in the late 1970's and early 1980s. 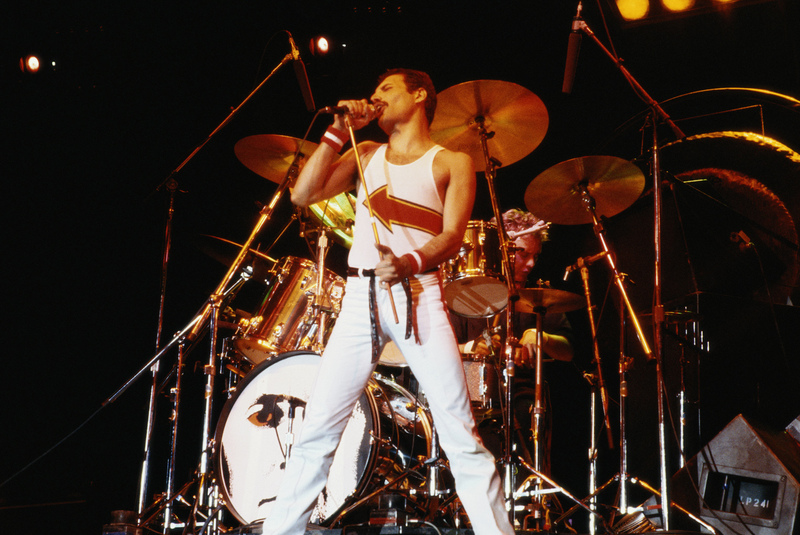 "We Are the Champions," off 1978's News of the World was a top 10 hit in the U.S. and U.K. "We Will Rock You," "Another One Bites the Dust," and "Under Pressure" became major hits for Queen as well. Mercury also released a number of solo albums. "I wish to confirm that I have been tested HIV-positive and have AIDS. I felt it correct to keep this information private to date to protect the privacy of those around me. However, the time has come now for my friends and fans around the world to know the truth and I hope that everyone will join with my doctors and all those worldwide in the fight against this terrible disease." At the time of his death in 1991, Mercury owned real estate with an inflation adjusted worth of $40 million and had another $13 million in liquid assets. In 1991, his net worth was about $30 million – this includes the value of all real estate, royalties, catalog rights, cash, art, and other liquid assets. When adjusted for inflation, Freddie Mercury's net worth was in the $50-60 million range. Brian May Net Worth: Brian May is an English musician, singer, songwriter and astrophysicist who has a net worth of $175 million dollars.